i am a sucker for peanut butter. 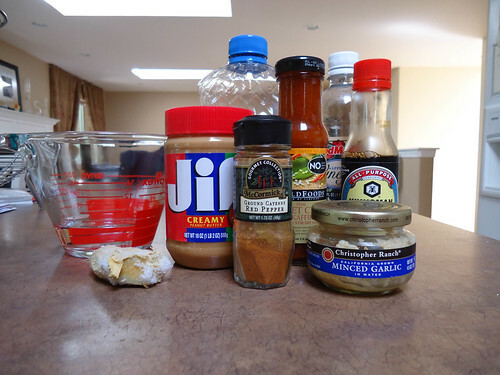 usually, i just eat it with a spoon… from the jar and never really imagined it in a marinade. but it is very tasty. you should give this recipe a try. 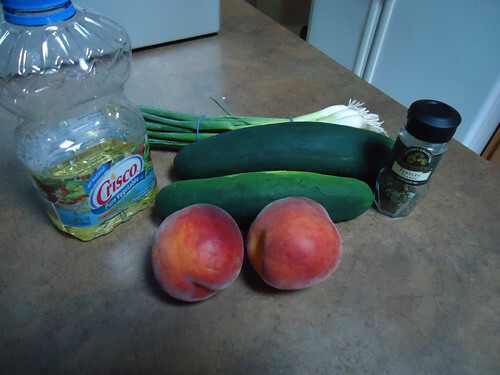 and definitely make the salsa to go with it! 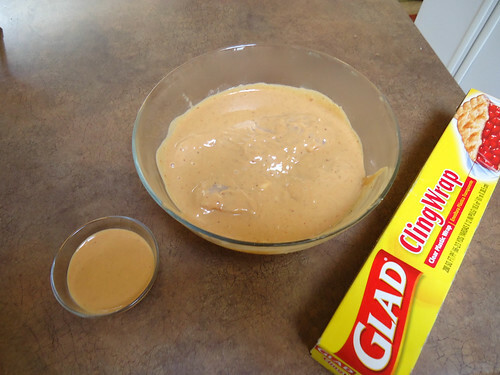 for the marinade, in a large bowl, stir the boiling water into the peanut butter. it will have a stiff consistency at first, but then smooth out. stir in the chili sauce, soy sauce, cooking oil, vinegar, garlic, ginger and cayenne pepper. allow to cool. separate some of the marinade out for dipping later. then place your chicken in the marinade. cover and allow to marinate for 12-24 hours. 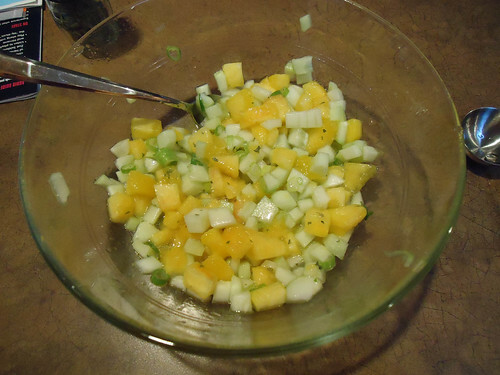 serve with peach salsa and hot rice. i used wild long grain rice. this is very difficult, so make sure to put on your thinking caps! 🙂 combine all of the ingredients in a medium bowl. cover and chill for 1-2 hours.